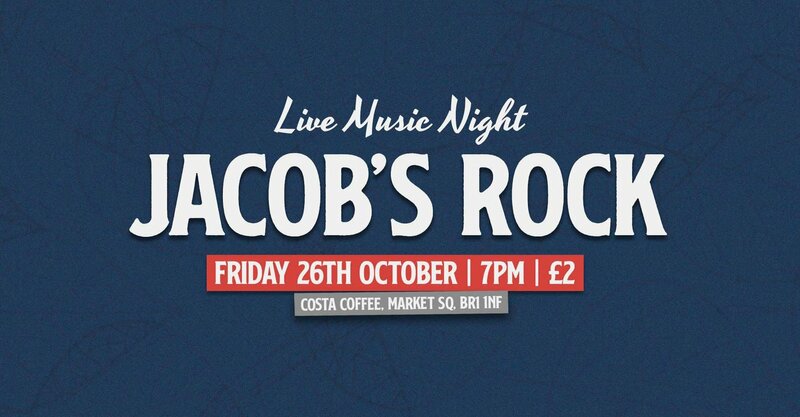 Jacob's Rock is the place where young, up and coming Christian musicians have a platform to express their gifting in front of an audience and grow their talent. Everyone (all ages) is invited to Costa Coffee in Market Square, Bromley, to come come and be that audience this October. You'll enjoy a light-hearted evening of live music featuring Mr Ekow, Sophie Louise, and new band to the Jacob's Rock community - Wooden Houses! £2 Entry, plus bring some extra for your Costa Coffees, drinks and nibbles.